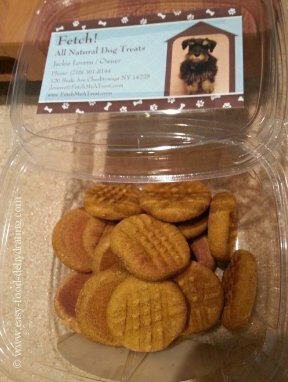 Need nutritious dog treats? Look no farther than Fetch Dog Treats. Instead of making my own and dehydrating them (I have done this, but mostly I'm just too pushed for time or too lazy!) – it's best to leave doggie-cookie baking to the professionals! Jackie Lovern to the Rescue! Jackie's company uses all-natural products and uses grizzly salmon oil (rich in Omega 3 fatty acids) in all her wheat-free dog treats! Reward your pups or grumpy old dog with wholesome healthy treats! I asked Jackie how she got started: "Well it all started when I adopted Sargent about 3 years ago. When I took him for his first vet visit, I asked the vet what she suggested that I feed him. She said if you can, try and make your own treats so that you know what is in them. "I started to do some research and all of the recipes that I found called for white or wheat flour. Through extensive hours of research, I had learned that those particular grains were not the best for dogs. As it turns out, just like in humans, there are a large number of dogs that tend to be sensitive or allergic to wheat flour. "After some trial and error, I found that oat flour was the best to work with and also has a number of additional benefits for dogs. Another ingredient that seemed common in most homemade dog treat recipes was canola oil. As this has no positive benefit to either dogs or humans, I again began to research alternatives. I noticed that some premium dog foods make a point to include Omega 3, and after some more trial and error, we had our healthy alternative which added so many new benefits." Boy, these pumpkin treats are GOOD! "After checking and double checking to be sure that each and every ingredient was safe for Sgt. I started to make batches of treats and freezing them. I told my friends what I was doing and they wanted to try my treats on their dogs. The feedback was incredible! They all said that their dogs loved them, and more and more people were suggesting that I start a business and share them with every dog. That's how Fetch Dog Treats was born. I have Sgt. Pepperoni as my Quality Control Officer, and my partner John Griveas is in charge of all marketing and sales for the company. It's growing right before my eyes. Fetch! started off as just a great treat for Sarge, and now I am in five storefront locations in WNY and a couple of different seasonal markets. John is working on some pretty big things that may help expand our reach even more over the next year or so, so we recommend that you stay tuned!" Jackie, we wish you nothing but the best! and her peanut butter goodness treats! As posted on this page, are Jackie's FANTASTIC peanut butter treats! My min pin LOVES 'em ... she dances up and down when I get the Fetch Dog Treats container out! I do break them up for her so she doesn't try to eat it in "one go" ... you know how dogs are ... Click the photo and order yours from my friend Jackie Lovern in NY. Jackie now has two convenient payment options: the old PayPal way which I still love and use; and regular Credit/Debit card payment. When you first land on her site, choose your preferred payment option and then you'll arrive at the product pages. 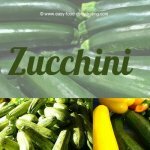 Jackie very often has special shipping offers – so I take advantage and order enough to garner "free shipping" and then I store the containers in the freezer until our Min Pin needs more! What's Your Dog's Favorite Homemade Food? 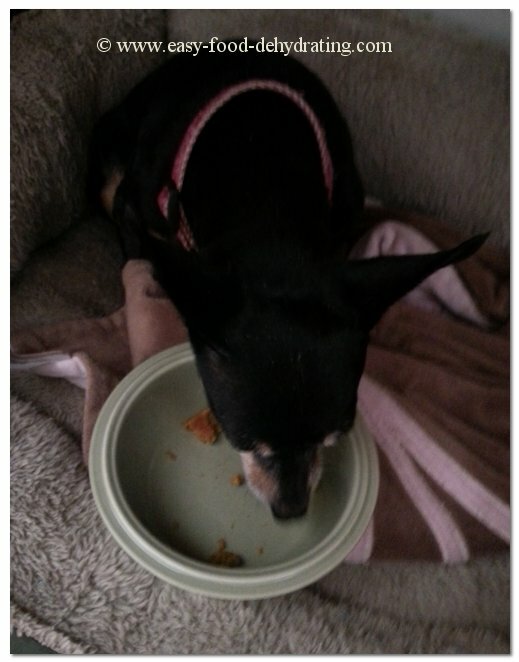 Is your dog drooling to have its photo featured showing us how much he/she enjoys your homemade doggie meals? Do you have a great recipe? Share it! Your recipe will be posted "auto-magically" and you'll have your very own recipe and webpage featuring your dog's favorite food! Share your dog's favorite homemade recipe ... Just type it here! ... Please don't use all caps or any HTML as SBI strips it out. But don't worry, I'll make it look pretty for you!